May 30 2012 - Rejean Chiasson Wins CDN Marathon Champs! Congratulations to ANB member Rejean Chiasson who was the first 25-29 year old Canadian to cross the finish line at the Canadian Marathon Championships in Ottawa last weekend with a time of 2:19.55. Rejean was just 2 minutes behind his personal best time of 2:17. We can’t wait to see what Rejean does next! High-school athletes had a great day to compete on Saturday at the new track in Rexton. Over 400 athletes competed at the North-East regional meet, hoping to come top 8 in their event to qualify for the NBIAA Provincial Championships Saturday. If Sydney can repeat her time of 13.02 in the 80m hurdles and Tiffany her time of 50.86 in the 300m hurdles next Saturday, they will both be setting new NBIAA records. If Allan Carroll can repeat his time of 23.39 in the 200m, he will be setting a new NBIAA record. Congratulations to the athletes who qualified and thank you Bonar Law for hosting a great competition! High-school athletes had a great day to compete on Saturday in Saint John. Over 400 athletes competed at the South-West regional meet, hoping to come top 8 in their event to qualify for the NBIAA Provincial Championships this Saturday in Moncton. Congratulations to the athletes who qualified and thank you Saint John for hosting a great competition! New Brunswick had athletes with amazing performances this past weekend in track and field. Ryan Cassidy (O2) ran the 3000m steeplechase in a time of 8:59.40 at the Windsor Open—the fastest time by a junior in Canada since 2009! Perhaps one of the most exciting results for NB last weekend was Mike LeBlanc’s (ASEA) seasonal best time of 10.28 in the 100m at the Ottawa Springtime Invitational. Two of our athletes also ran great races at the Q’s Victoria Track Series: Adam Gaudes (FFT) set himself a new personal best running the 800m in 1:49.90. Grace Annear (SJTC) also broke her personal best in Victoria in the 800m with a time of 2:09.30. Meanwhile, Jean-Marc Doiron (O2) finished 8th at the Blue Mile Road Race in Edmonton with a time of 4:26 and Chris Robertson (ASEA), despite being disqualified in one event, almost set a new NB decathlon record in Ottawa. Chris was only 200 points behind the 1978 record of 5891. Congratulations to all athletes, we’re proud of you! Athletics South East Athletics (ASEA), based in Moncton NB, is seeking applications from interested students for a summer time track club assistant position. The successful candidate will be expected to work in the Moncton area with assisting in training and administrative activities. Travel to track meets within the Province of New Brunswick to assist Athletics New Brunswick will be required. This position is ideal for mature students able to take direction and work independently. Experience in track and field, working with athletes and youth and the ability to work independently will be considerations in the selection process. This is a 10 week 30 hour a week job paying $12.00 per hour. The position is funded via Service Canada and would run from June 10, 2012 to August 6, 2012. Applicants are asked to forward their resume to Peter Stuart at stuart@nbnet.nb.caby Wednesday, May 30, 2012. 180 athletes participated in the SaintJohn Track Club Spring meet last Monday in SaintJohn. Unfortunately, due to anillegal wind, most of the race times were rendered unofficial. However, Shawna McKay (ASEA) ran wellin the girls 16-17 100m (12.77) and 200m (26.10). Also, Sydney MacDonald (ASEA) seemsto be on pace to break her sister’s NBIAA record for the junior girls 80m hurdles next weekend,after running a time of 13.28 on Monday. In the jumping events, Jason MacKenzie (ASEA) and Mitch Quigg (SJTC) had good high-jump season openers. Jason jumped 1.85m and Mitch cleared 1.80m. Both are hoping to achieve1.90m this summer. In the throwing events,2 New Brunswick records were broken by Joey Boudreau (ASEA). Joey bested his existing records in the wheelchair shot put and the wheelchair javelin with a throw of 5.64m in the shot put and 12.34m in the javelin. The annual NBIAA regional meets will take place this Saturday, May 26th. Over 400 athletes are registered for both the South West regional meet in Saint-John and the North East regional meet in Rexton. 22 schools will be represented at the South West meet and 21 schools will be represented at the North East meet. Both competitions will begin at 9:45 AM on Saturday morning. All athletes competing in the regional meets this weekend will be hoping to qualify for the NBIAA Championships by raking in the top 8 in their events. The Championships will be held at the Moncton Stadium on Saturday, June 2nd. Best of luck to all Athletes! May 24 2012 - Para Athletics Clinic a huge success ! On May 20th Athletics New Brunswick hosted a very successful Introduction to Para-Athletics Clinic in Saint John. With the help of experienced coaches, new athletes and coaches got the opportunity to learn more about Para-Athletics and even try racing, throwing and jumping events. Athletics New Brunswick is seeking applications from interested students for a full time track club assistant position. The successful candidate will be expected to work in the Fredericton area with 2 local clubs, assisting in training and administrative activities. Travel to track meets within the Province of New Brunswick to assist Athletics New Brunswick will be required. Experience in track and field, working with athletes and youth and the ability to work independently will be considerations in the selection process. The position is funded via Service Canada and would run from June 10, 2012 to August 6, 2012. Applicants are asked to forward their resume to Gabe LeBlanc at anb@anb.ca by Wednesday, May 30, 2012. Over 120 athletes competed at the 2012 ASEA Spring Opener this past Saturday at the Moncton 2010 Stadium. Despite being the first track and field meet of the outdoor season ANB athletes showed that they are in fine shape. -Dave Jefferson of Saint John Track Club set a provincial masters record in the Shot Put with a throw of 7.47m. Congratulations to the Saint John High School (Girls team) & Bonar Law (Boys team) who competed at the inaugural Nike High School Grand Prix in Toronto this weekend. A special recognition to ANB member Katie Robinson who brought home a medal for NB by securing a bronze in the 1500m and a 4th place finish in the 800m. Saint John Track Club is pleased to announce that from August 5th-8th they will be hosting a 3 nights and 4 days camp held at the Canada Games Stadium and UNBSJ campus. The camp is for boys and girls born from 1996-2000. This will be a fun filled camp with lots of opportunity to improve skills, learn about athletics, and most importantly make new friends while having a fun filled time. A small group of ANB High Performance athletes recently took part in a warm weather training camp in Clermont, Florida. While in Florida, athletes trained at the National Training Center where many Olympic hopefuls from several nations are preparing for this summers games. Our athletes took part in two training sessions per day on the track, in the gym, or in the pool and showed that New Brunswick athletes will be well prepared this summer. Information on next years camp will become available later this summer. Athletics Nova Scotia is organazing the 2012 Throws summit on May 12-13 in Halifax. This amazing opportunity will give athletes a chance to do training sessions for athletes with some of the top coaches in Canada, and coaches will get a chance to work alongside the clinicians in a hands-on opportunity to learn new approaches and drills for all throwing disciplines. Athletics New Brusnwick is proud to sponser this event and will also support ANB athletes and coaches who wish to attend this great initiative. 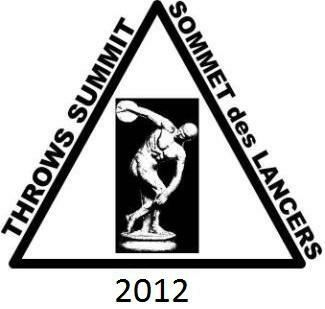 If you are interested in attending the 2012 Throws summit please contact ANB office at anb@anb.ca before Tuesday May the 8th.